Know the many health benefits of simple dal-roti and enjoy the different flavours of it. The belly rules the mind! Truly said. Who wouldn't be happy when hungry and served with simple good old ‘Dal-Chawal/Roti’ – the Indian staple food. It is healthy enough for anyone to eat and simple enough to cook. You may enjoy its diverse flavours according to regional variations in different states of India. Hence, you can try different recipes of it with different flavours and health benefits. Most of the recipes are simple and easy to make. If you’re a newly-wed Indian bride and spent little time in the kitchen before marriage, this simple yet delicious dish is worth a try. There are plenty of reasons to incorporate the food in your diet. A truly well prepared combination of dal-chawal/roti seasoned with fresh coriander tastes so good that you can’t resist it. With a dash of pickle and papad, the dish may give your taste buds a perfect zing and crunch. Have them in moderation to avoid ill effects on health. Although rice or roti does not contain a whole lot of dietary fibre, adding dal to it makes it a potent diet rich in fibre. It helps the digestive system to run smoothly. When you are sick, you may stick to dal-chawal/roti because proteins in dals are easily broken down by the body. These proteins are different from those in meat. Rice is also easily broken down and absorbed by the body. You may substitute white rice with brown rice or wheat flour with multi-grain flour for rotis to achieve your weight-loss goals. This food also makes you feel full quickly, so you don’t end up eating much. Hence this diet can be a part of your weight-loss regimen due to fibre content and portion control. 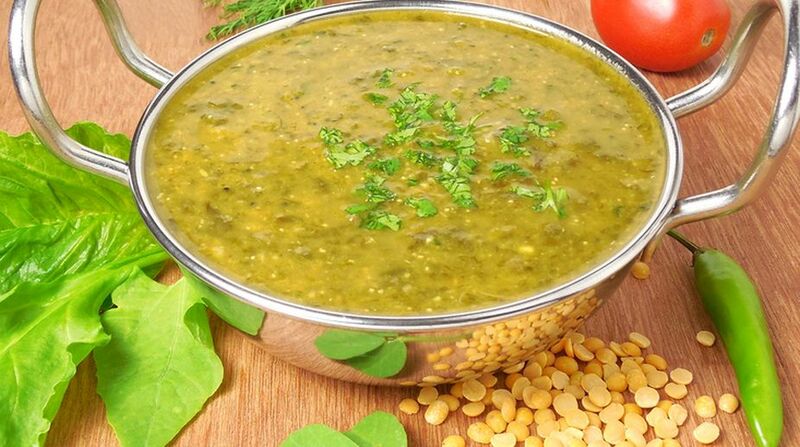 Dal or pulses are rich in amino acid ‘lysine’ which is not found in rice or roti. While, rice and roti are high in sulphur based amino acids that are missing from dals. The combo of two enables to gain complete protein especially for vegetarians. This food is an excellent source of carbohydrates. It provides instant energy which your body needs for every function. No doubt, this diet works well in overall nutrition. Both the food items compensate each other’s lacking in terms of nutrient components. The dish provides an excellent amount of fat, iron, calcium, magnesium, potassium and B vitamins. It may help you prevent and cure many diseases. Before you begin, know the basic principle. ‘Slow Cooking’ is the mantra here. If you cook it on high flame, the flavours and nutrition may fail to merge with outer ingredients. So, food enthusiasts! Start trying this modest Indian food for a healthy you. Eat simple. Stay healthy. And, live happy.